ERS can be used to generate either manual or automatic reports. You can even run past reports if you need to clean the data and rerun outside the normal schedule. 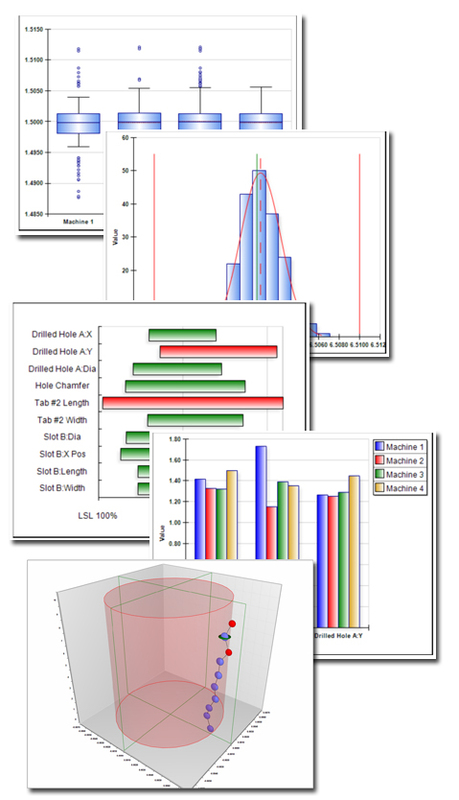 Reports can be run directly out of the Interactive Analysis screen or memorized and scheduled to run later. An important new feature built into ERS is the ownership feature. All filters, groups, reports and exports you create in the system are automatically owned by you. Others can copy your reports into their own areas for editing, but cannot edit your items. This prevents someone else from inadvertently changing your data groups or reports. Your reports and exports can even be locked so nobody else can run them and overwrite your output files. Just like in QC-CALC, ERS comes with a built-in report designer allowing you to change the existing templates or create new ones based on your needs. You can take the data and add even more charts and gauges to the template with just a few clicks.